The Battle of Bannockburn (23-24th June 1314) was a turning point in history, for the English as well as the Scots. It is a battle that helped define Britain. For many Scots this seminal moment in their past has become a patriotic talisman, even though and the myths which surround the battle have all but obscured what really happened. Seven centuries later, debates on national identity and independence are heavily influenced by the events of 1314. This book, published to celebrate the 700th anniversary of the battle, will draw on the latest scholarship and archaeological evidence to provide a fast-paced, highly readable and clear narrative of this important story. It will also explore the modern legacy of the battle, as politicians delve into the past in order to support their vision of the future. Only a handful of historical documents reveal exactly what happened that day, and they tell a reasonably straightforward story. However, our understanding of the battle has been coloured by myth, legend, nationalism and romanticism – seven centuries of partisan embellishment and obfuscation designed to retell the tale to serve political or national ends. Over the past century scholars have merely added to the confusion, as they have disagreed on the how and the why of the battle. Even the battlefield itself has been moved slightly, in the light of fresh archaeological evidence. 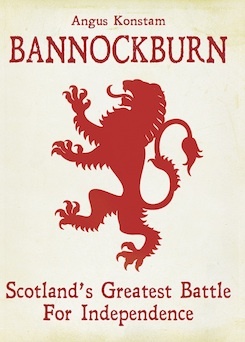 This book will strip away these centuries of beclouding, to explain the how, who, what and where of Bannockburn, presented in a way that can be readily understood. The battle itself is a fascinating one, as both sides sought a fight, and were confident of victory. That the fighting took the course it did was down to the Scottish commander Robert the Bruce, whose aggressive tactics assured his army of victory almost before the first blows were struck. It overturns many myths, including the notion that either army was a national force, that the Scottish spearmen were untrained peasants who took on the flower of English chivalry, or that the English tactics were inherently flawed. Instead it will strip away these myths to provide a straightforward account of this important battle, without embellishment. This book will separate the fact from the fiction, and will re-establish Bannockburn as a key moment in the forging of the Britain we know today. "Everyone interested in the battle would do well to read this engaging book." "Konstam is too wily an historian to let his political views get in the way of what is a fast-paced and action-packed story with more tales of intrigue, torture, murder and dishonour on both sides than an episode of Game of Thrones....Bannockburn is an entertaining read, and a welcome addition to the histiography of Medieval warfare." "Konstam tells what is a wonderful story with clarity and good sense." 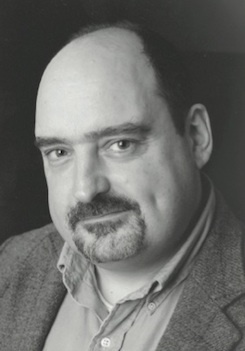 "His relaxed, conversational style is lively, readable and even-handed." "Konstam's revisiting of the period is a rattling overview of the key events, told in a spirited tone." "...briskly written and colourfully illustrated.."